Here are just a few that I have come across in my travels. 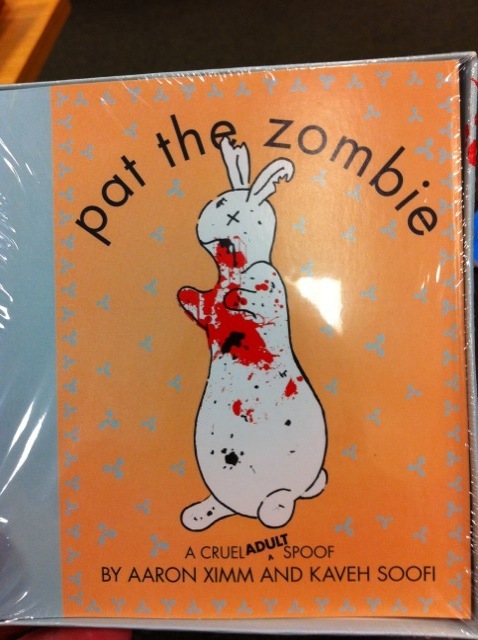 This is a horrifying spoof of the children’s classic Pat the Bunny which I spotted at Barnes and Noble. I’m pretty sure my 18-year-old was traumatized. Wow. Wow. Truth in advertising I suppose, but really? I guess it gets the message across. 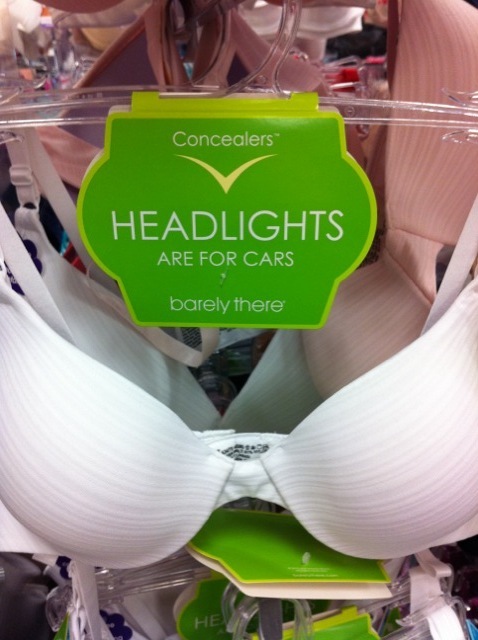 We saw this in Kohl’s today. My daughter may have sprained her eye-rolling muscle. I managed to resist this tempting and informative book at Lowes and just leave with 867 paint chips. 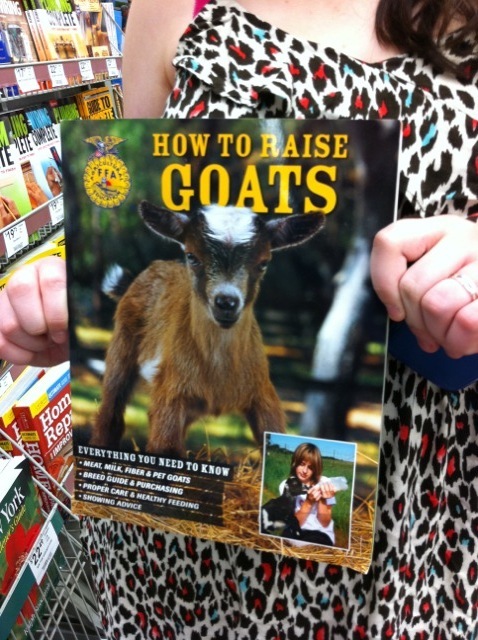 I’m not sure how my daughter felt about modeling a goat book, but that is a great dress. 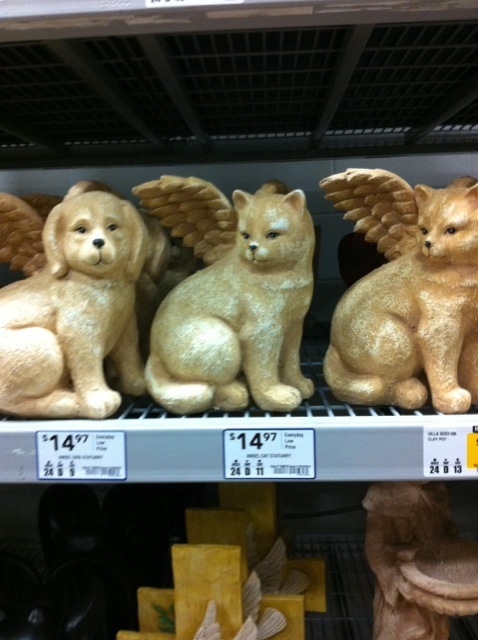 This disturbing picture is from an earlier trip to Lowes. I think that the prospect of Flying Cats is even scarier than Flying Monkeys, but that may be because I am violently allergic to cats and the idea of being dander-bombed by a Flying Cat is terrifying. Even the Flying Dog looks intimidated.